Our recent trip to indigenous communities of Karen in Kawthoolei was not totally a new experience but a special ‘tour of duty’. The mere thought of entering an area that has witnessed a seven-decade civil war for self-determination was exhilarating to say the least. Although communities find themselves talking about peace, the struggle for self-determination never ceases. 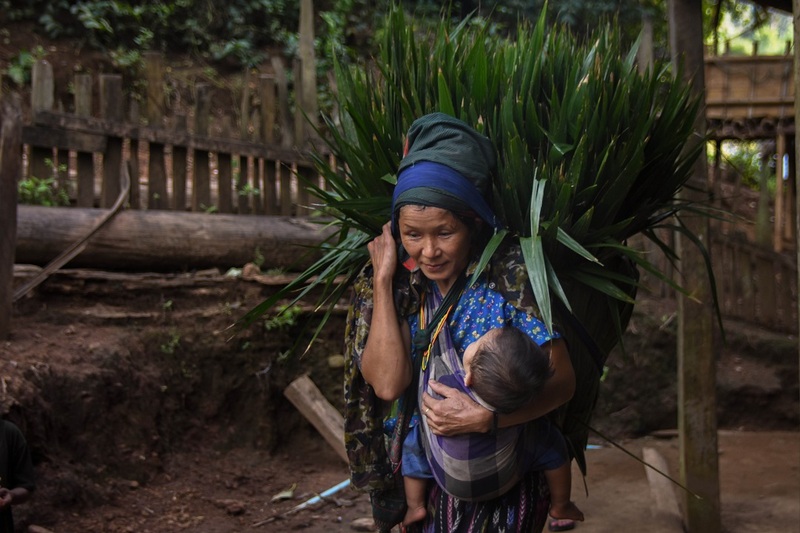 Like most indigenous communities in other countries, some villages within the Karen territory are remote and getting there could be an extra challenge for outsiders, especially under unfavorable weather circumstance and the person’s physical condition. It was raining when we started our long land travel. It took us five hours before we reached the Salween River which serves as the gateway to our destination. Salween River is a natural boundary of Burma and Thailand and a waterway for traders and ordinary commuters from Karenni, Karen, and Mon States. 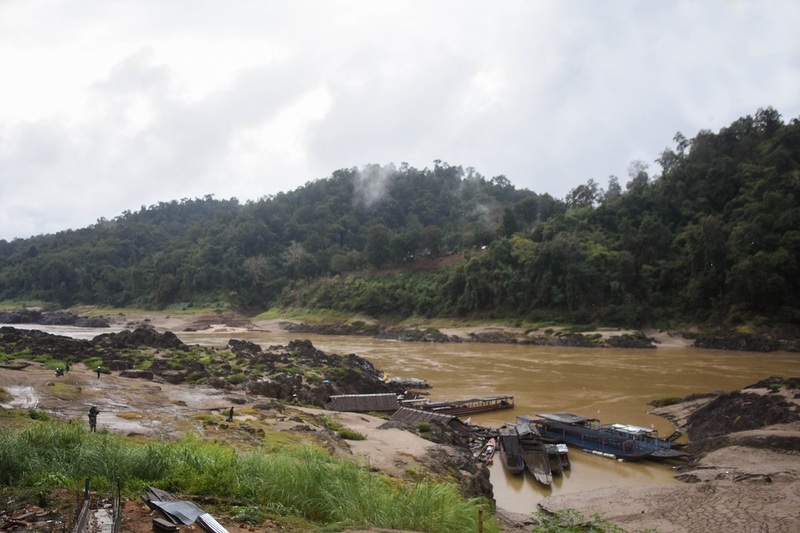 Along Salween River, several makeshift ‘No Dam’ placards are installed signifying strong opposition from communities. A number of hydroelectric dam projects are planned in the upstream areas of Salween River and its tributaries. These proposed projects spell the greatest threat and disaster to land and life of indigenous communities, particularly the internally displaced peoples (IDP) who sought refuge and found sanctuary on a flat stretch along the river after being victimized by nonstop Burmese military operations. After five hours of river cruise, we arrived at a small community right before the sunset. We decided to stay overnight because going up the mountain under nonstop rains was impossible. Luckily on the following day, the rain stopped. Despite the muddy mountain road that prevented us from seamless maneuvering, the scenic beauty of lush forest, misty canopy and cold breeze at a high altitude of Mutraw district was just so overwhelming. The picturesque mountain landscape contrasted with villages masked by clouds show no sign of massive environmental damage and resource plunder. However, it tells a story of social unrest, conflict and resistance. 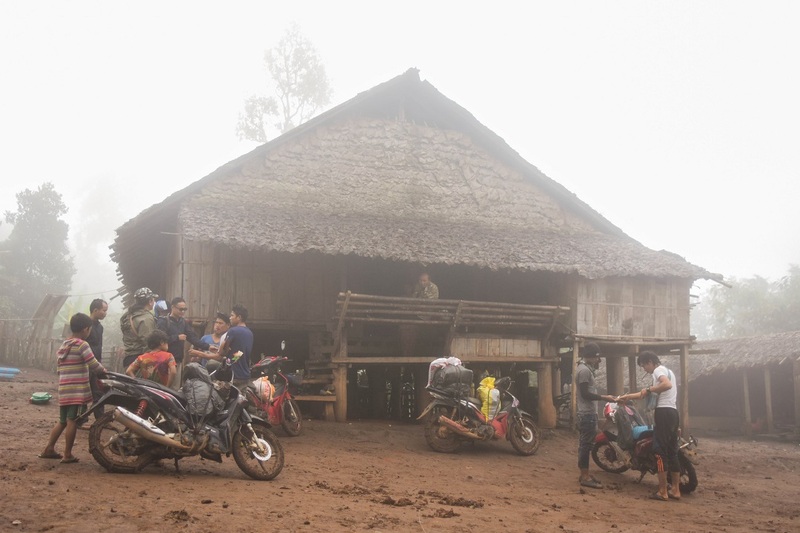 This part of Karen territory has been under the political power of Karen National Union (KNU) and military control of Karen National Liberation Army (KNLA) for nearly 60 years. Three different villages and new acquaintances who share common stories of disarray, defiance and hope were our home for a couple of days. T’may Hta was our first stop. 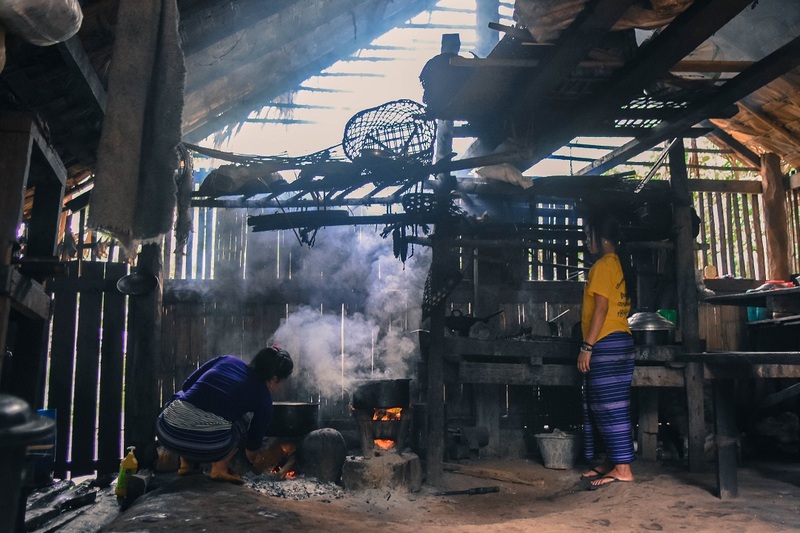 It is the home of the Indigenous Eco-Training Center built by and for the Karen people. 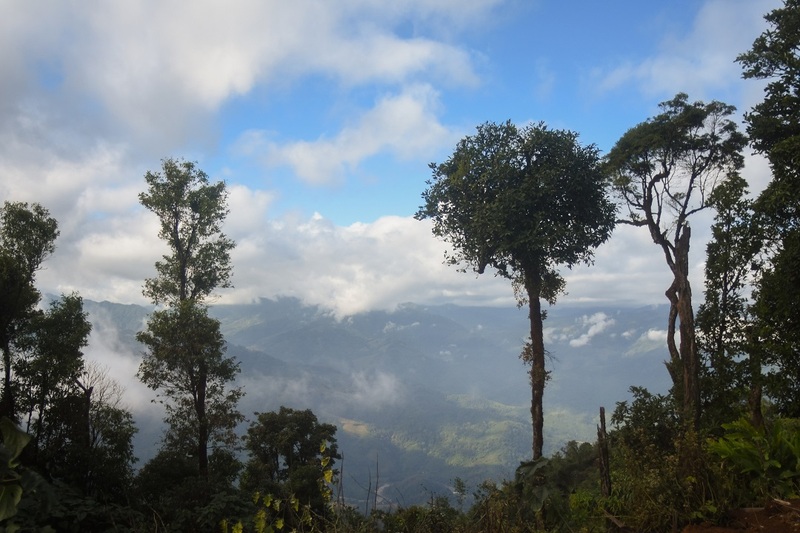 The Karen Environment and Social Action Network (KESAN), a community-based, non-government and non-profit organization, has possible the establishment of the training center. 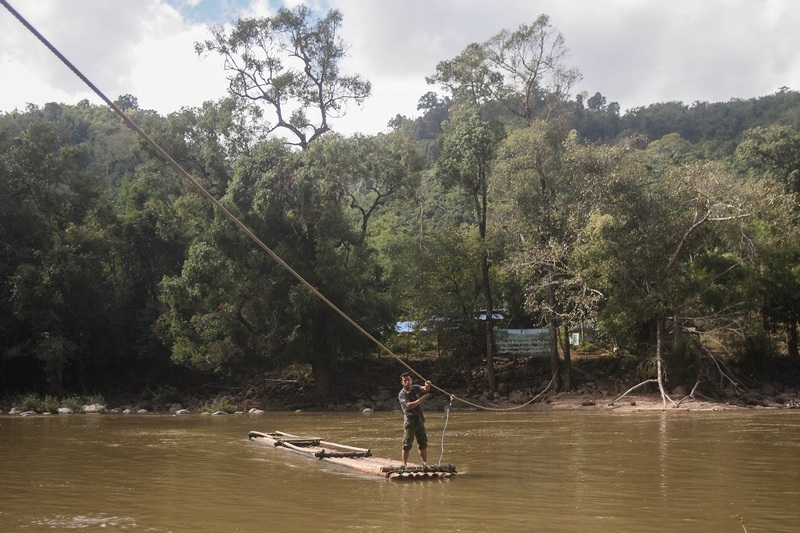 The bamboo raft, as the main water vehicle to cross Pwan Lo Klo River and get to the Eco-Training Center, adds to the whole experience of our community visit. Community members collectively operate and maintain the training center under the supervision of KESAN staff based in Mutraw District. They cultivate their own organic farmlands and they also have free-range chicken and pig. It already hosted several training and activities that promoted the fusion of indigenous knowledge and new technologies to improve the people’s lives. 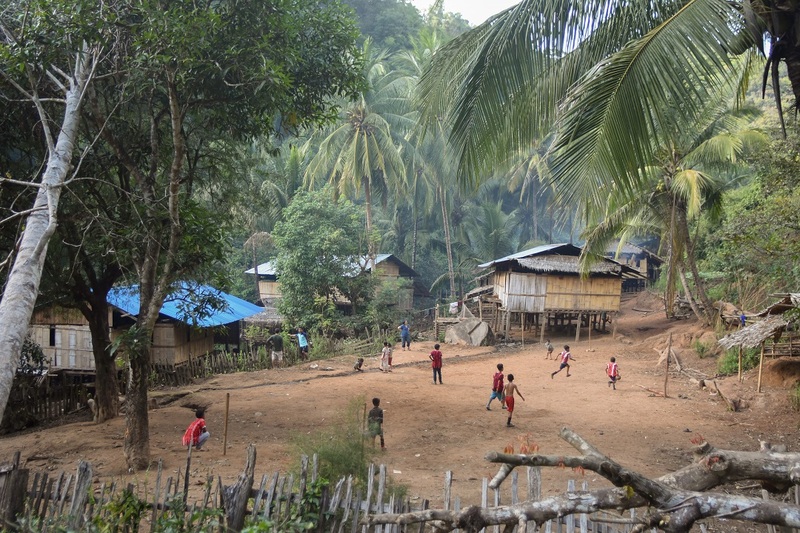 Aside from the training center, T’may Hta village provides a space for some families and individuals who were forcibly displaced by the Burmese Army. 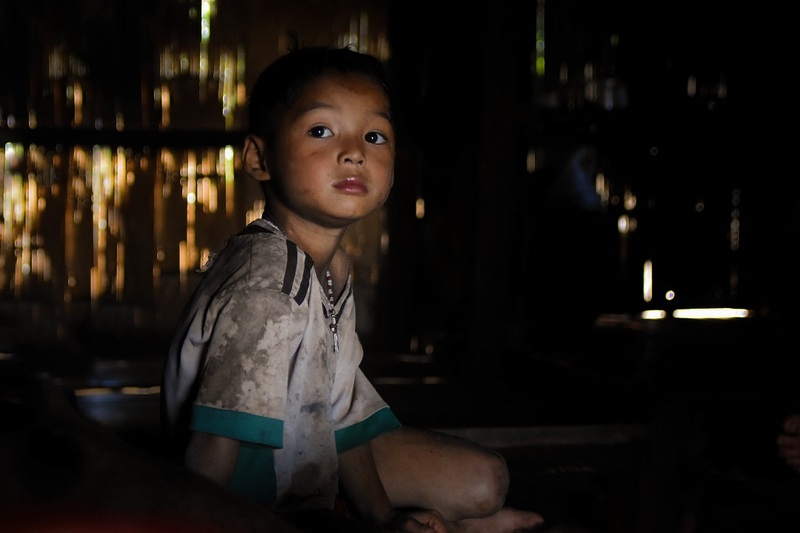 In 2015, both the Karen National Union (KNU) and Burmese Army have signed the Nationwide Ceasefire Agreement (NCA) which prohibits the expansion of military facilities and deployment of military forces within the defined ceasefire areas. In 2018, however, the Burmese Army built road networks to connect their military bases without the knowledge and permission of the KNU. Military operations have caused massive displacement of indigenous peoples. Lay Bu Der is a small village of 18 houses which account for at least 20 households. Here I met Saw Ba Moo or ”black teeth man,” a 27-year old father of two children and husband of Naw Moo. 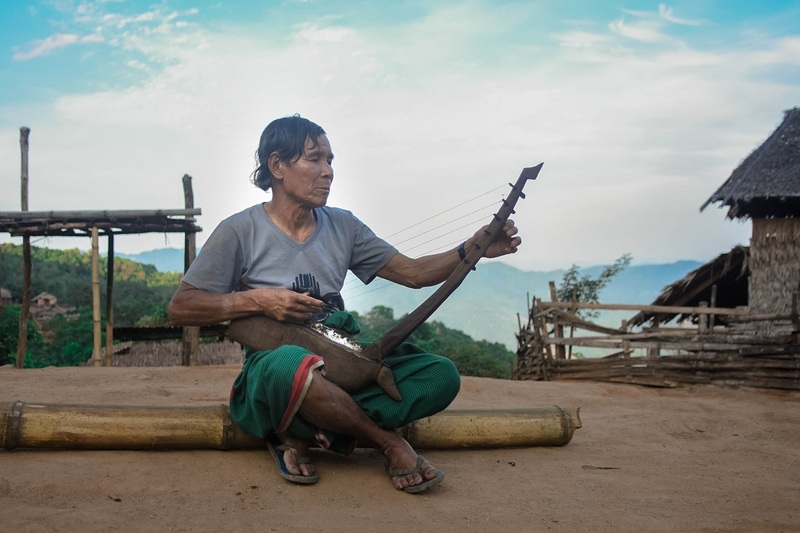 Ba Moo recalled his father’s story on how his clan started and persevered to populate their present community and develop as their own village. It was a tough journey to search for a suitable place where they could settle. They had to transfer three times, from one forest area to another, due to unfavorable conditions like wild animal attacks. They finally decided to settle at Lay Bu Der, an area that used to be a thick forest. 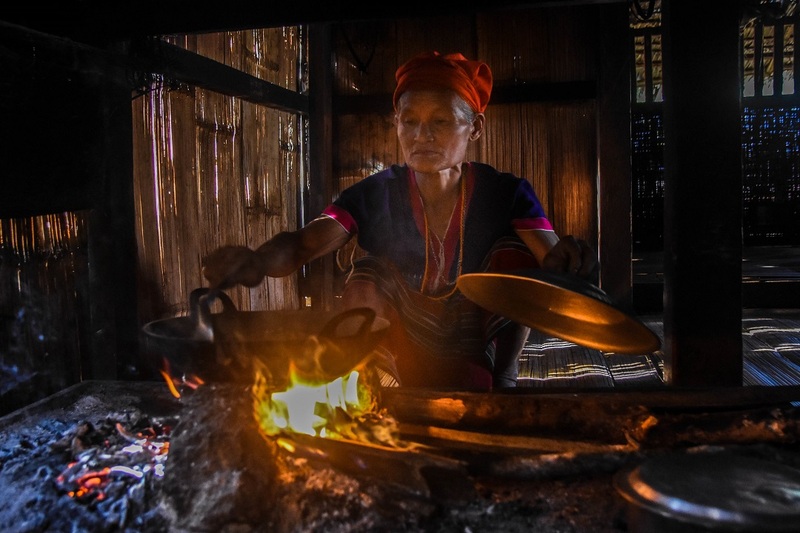 The entire community continues to enjoy the simple living practiced by their ancestors. Their customary practices of resource utilization and management essentially translate to environmental protection in a self-reliant way. 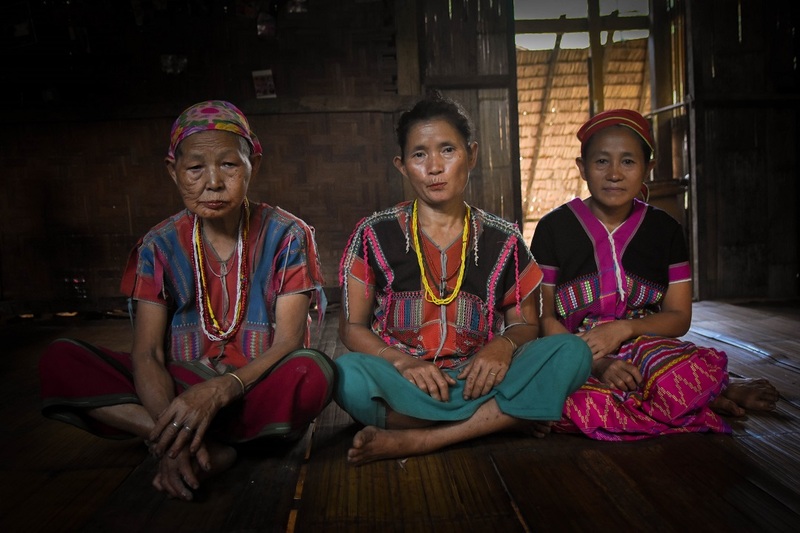 Karen women have always played a crucial role in cultural preservation and social development. Women in the community are in-charge of collecting some light woods and leaves from the forest in order to build their houses. 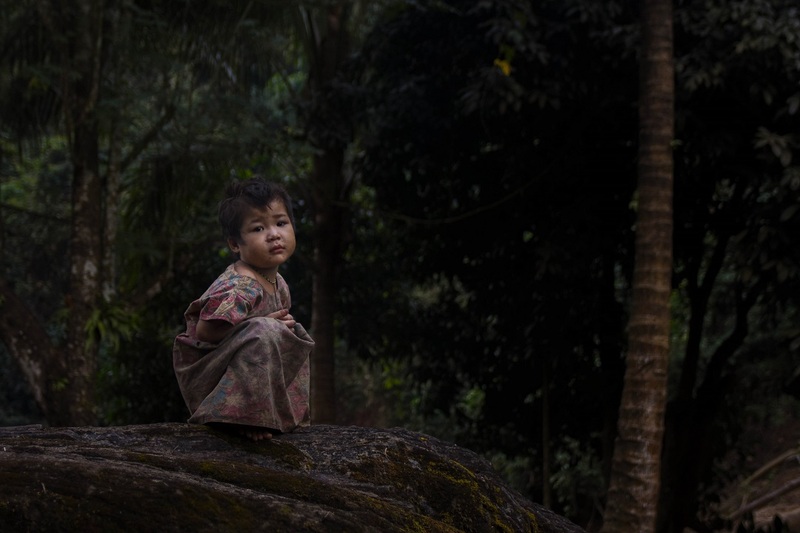 Ba Moo jokingly mentioned that women could not go to the forest and collect woods without chewing betel nut. 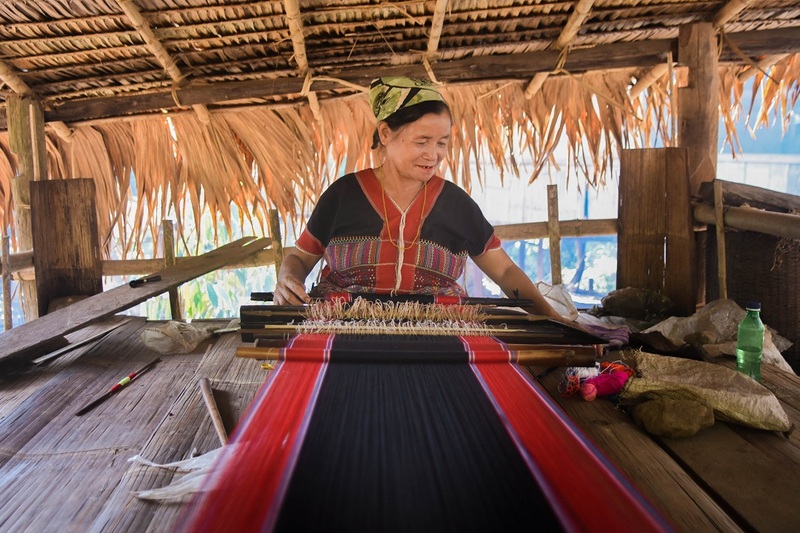 The culture of weaving, especially in the production of their indigenous Karen attire, is still alive in the community. Materials like cotton, thread and color dye are available in their forest. According to them, villagers, particularly women and children, at Lay Bu Der always wear their traditional attire as a sign of cultural pride. Right now, economic practicality plays a critical factor in the continued existence of weaving in their community. Maw Lay Koh, the last village that we visited, is an hour away from the district center. The motorbike travel to this village could be dangerous for those who are not familiar with the rugged terrain. Saw Klop Poe and his family accommodated us in our short stay in their village. When we entered his house, Klop Poe’s wife offered some water and food while his daughter immediately placed the handwoven mat and pillow so we can have some rest after an hour of travel. Some of his grandchildren hid from me and cried. They might be shy or afraid of someone who does not speak their language. But there are few little children amassed in front of me to have them photographed. Like any other children, they always love to see themselves in the photo. 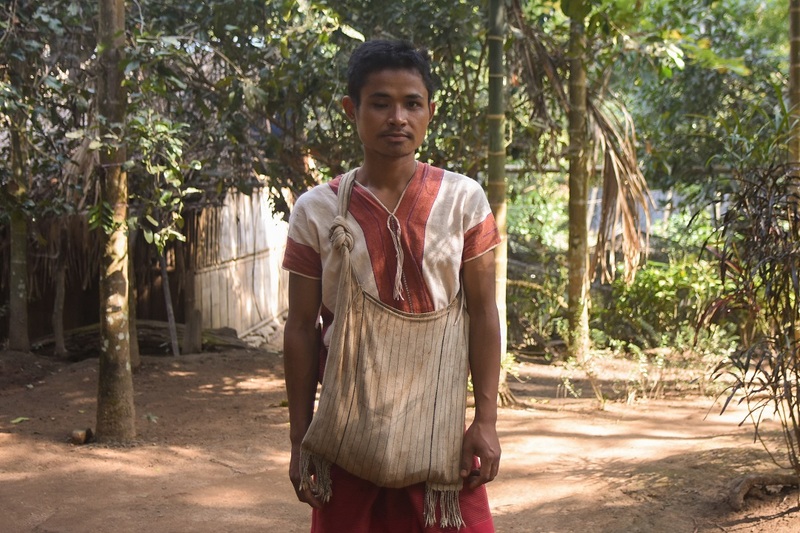 Klop Poe started to tell his personal story as a village chief turned Karen army member. Being a village chief was both tough and fulfilling. He needed to be present in all meetings concerning his village and people. Sometimes, he mediated in domestic issues. Moreover, he led the conservation efforts of one of the most important community forest areas in Mutraw district. After his term as the village chief, he immediately enrolled to become part of the KNLA where he served for only two years. According to him, the life in KNLA was amazing but his age could not keep up with all the training and other physical activities. He then decided to go back to his village and continue living with his children and grandchildren. Before we said goodbye, Klop Poe rendered a poem with his traditional musical instrument, Tayna Kaylaw. It tells a story of hope and solidarity among communities in all parts of the world, solidarity that transcends boundary, distance and nationality. The military operations of the Burmese Army across Karen State amidst the ongoing nationwide ceasefire make genuine peace elusive. Burmese military encroachment on indigenous territories means increasing political control over jurisdiction and indigenous population. This further provides the Union Government of Burma the power to liberalize the territories and resources of indigenous communities. The apparent strategy works concurrently for the benefit of the ruling government at the expense of the people and environment. 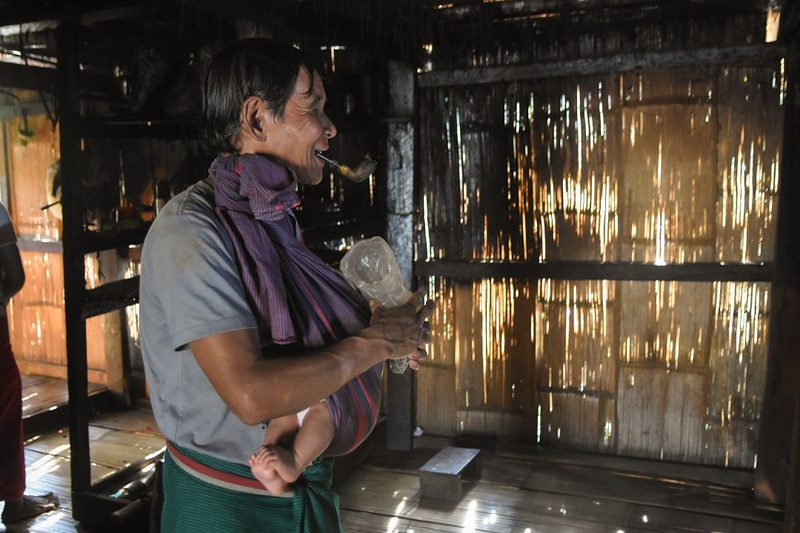 On the other hand, peace negotiations between KNU and the Union Government of Burma give a window of opportunity for some families to rebuild their lives and consolidate their village. However, the threat of Burmese military operations remains as manifested by widespread cases of IDPs and land grabbing by the local elite. Peace is not necessarily the absence of war. Just and lasting peace will only happen if the root causes of the armed conflict are addressed. 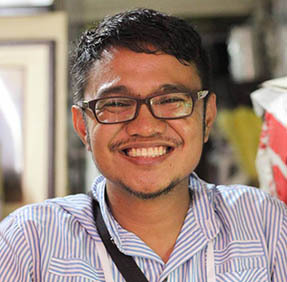 The continuing struggle of Karen for self-determination is an expression of the rich history of their resistance against national oppression by the Burmese Army and the Union Government of Burma. The younger generation of indomitable Karen accepts the challenge to carry on the struggle for self-determination and liberation.